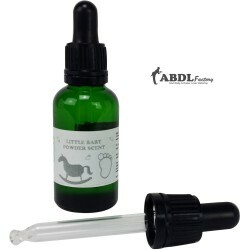 Baby Diaper Powder scent much like Johnson and Johnson.Concentrated fragrance oil for diluted usage ..
Little Rascals are all over printed nappies featuring the rascals and a green hexago.. Very stretchable fixation body for proper incontinence fixation.95% polyester, 5% elastane, with 3 p..
Crinkly quality tested Plastic PVC Super Soft Feel with blue Little Dinosaur print. The waist an..
Tykables Little Builders have been designed with the adult baby and diaper lover in mind. These are ..